Personalize your marketing to convert your highest-value accounts. Account-based marketing (ABM) has become a popular term among business-to-business (B2B) marketers. The goal of ABM campaigns is quite simple: understand, identify, and target ideal customers with personalized messaging. 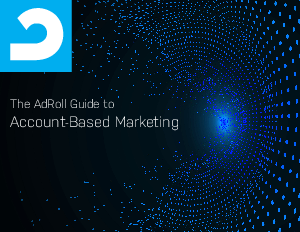 With AdRoll Prospecting, AdRoll Retargeting, and SendRoll, marketers can effectively reach potential customers throughout the marketing funnel—no matter what device they are on. Download it now to learn more!